For sheet-fed Traditional- & UV-Offset presses. In our OFFSET -products the film is attached to the cardboard backer by two gluelines. For sheet-fed HP Indigo ® -presses. In our INDIGO -products the film is fully attached to the paper backer by a low-tack glue. 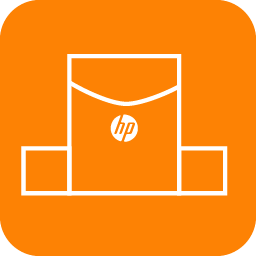 The film has a special receptive coating for HP Indigo® s’ ElektroInks™, which allows excellent ink transferability and ink adhesion. 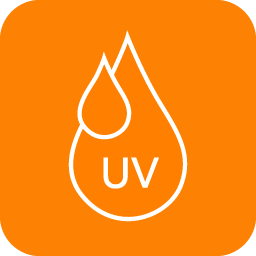 For large format UV- & UV-LED -curable printers.In our UV-INKJET -products the film fully is attached to the paper backer by a low-tack glue. The film cannot be printed with solvent or water based inks. 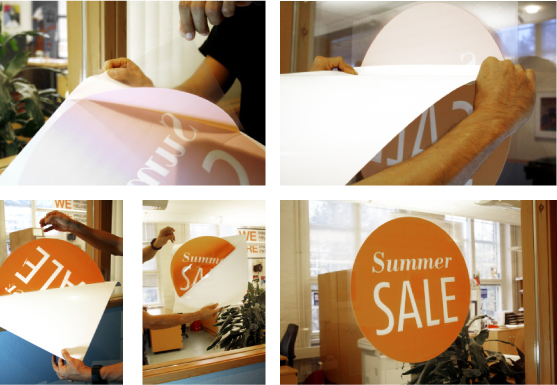 STAFIX®STATIC is an ideal POS marketing and decorating solution for temporary indoor advertising. 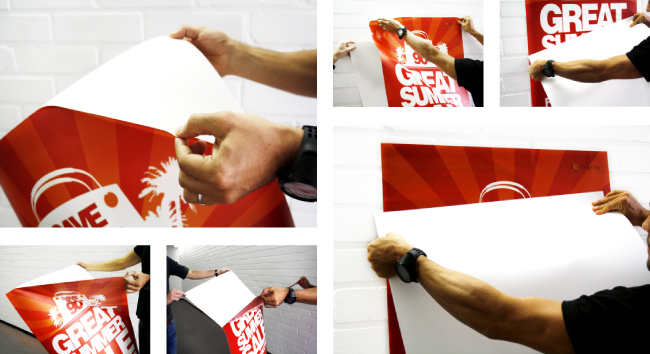 As the material sticks to almost any clean and smooth surface it is an easy solution for all kinds of advertising. 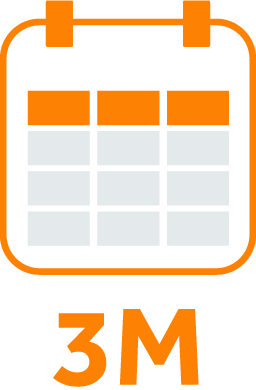 By using only one material, you can get your message as close to your product or service as possible. Right there where your customer is. 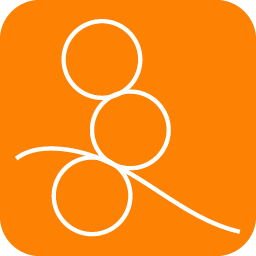 The products are often used to promote beverages, frozen food, pharmaceutical products and electronics, just to mention few. 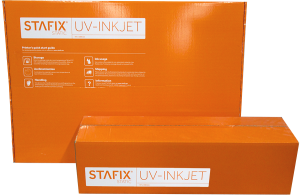 See our references to find out how our customers have utilized STAFIX®STATIC in their advertising. Want to test the material? 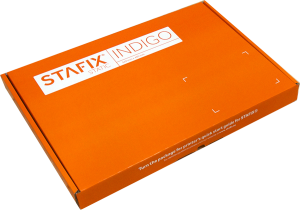 Order our free sample folder to see and test the whole STAFIX® product range yourself. STAFIX®STATIC sticks to almost any dry clean surface such as: glass, marble, wood, plastic, metal etc. It does not stick to textiles or other porous surfaces. On average, STAFIX®STATIC will adhere for three months to a surface. The less STAFIX®STATIC is repositioned during this time, and the smoother the surface is, the longer it will stay attached. 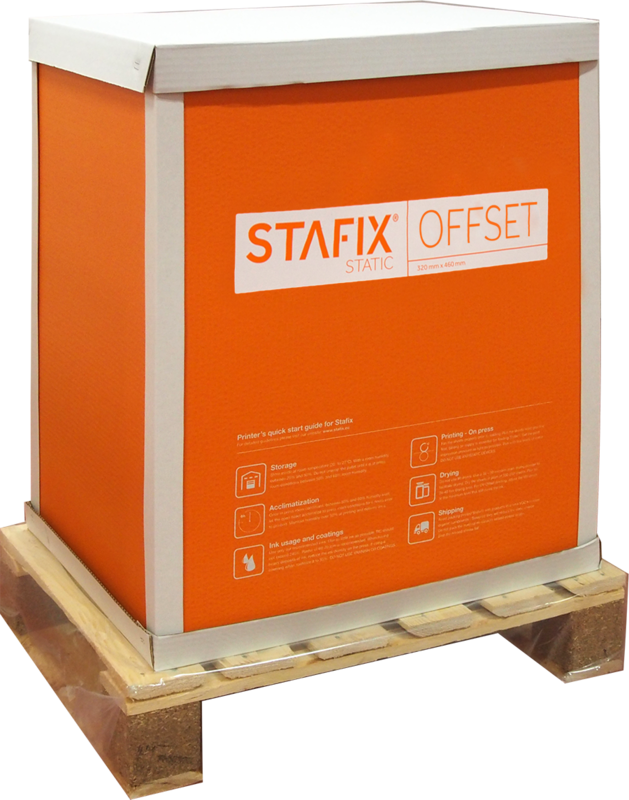 The installation of STAFIX®STATIC is as easy as it gets: Just peel the film off the backer, place it wherever you want, quickly brush over it for optimum adhesion – that´s it. No need for careful, time consuming placing and smoothening and no more cleaning of surfaces after installation! The film will increase its’ adhesion strength after some time but it can be easily removed at any time without leaving any residue. If you want to display the image through a glass window from inside to the outside (Shop display) it is strongly recommended to use the transparent film.The film should be printed ‘mirror-wise’, so the unprinted side would be adhered to the glass. 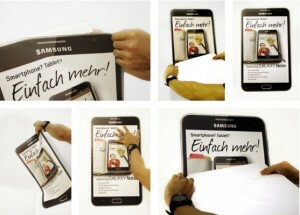 The film will stick on the inside of the window with visibility from the outside. 2. Peel the STAFIX@STATIC film from the backer and place it on the surface from the unprinted side with assistance of another person.